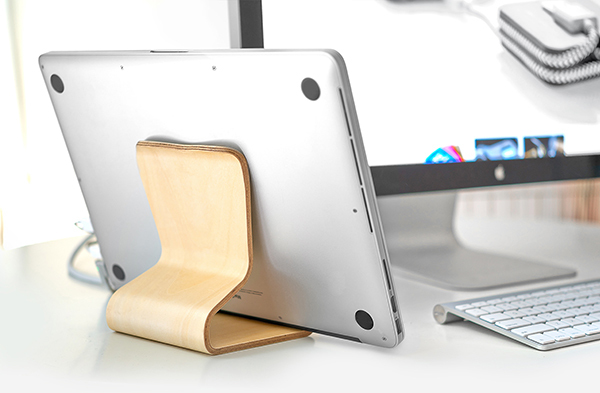 A chair for your laptop & tablet, simply put. Using Desktop Chair is as easy as sitting down on a real chair. The design is so simple and universal that everyone instantly knows how to use it. “Some of the best things in life are the simplest. Define how you use it. Adaptable to your lifestyle at home. Desktop Chair is not limited to specific products or particular ways to be used. Whether you are standing or sitting, putting your tablet vertically or horizontally, using your tablet naked, cased or covered, or even propping up your laptop or real book... Desktop Chair’s two-way design adopts to you. HOLDING MAC BOOK PRO 15"
Timeless piece for growing ones. because the sitter evolves over time. 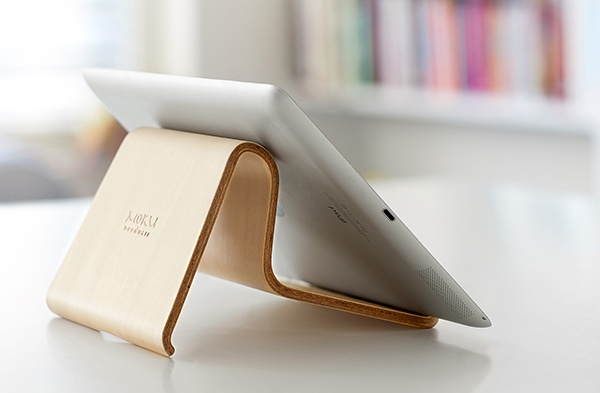 Desktop Chair accommodates virtually all sizes and shapes of tablet. It is designed and crafted for the time-span of real furniture. 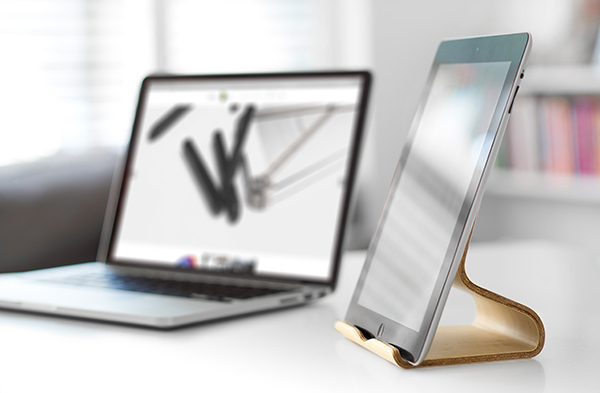 You may or may not update your tablet frequently, but Desktop Chair may well be your last tablet stand you’ll ever buy.